The cornerstone gun-rights decision, Heller v. D.C., the case in which the U.S. Supreme Court ruled that the Second Amendment of the U.S. Bill of Rights is indeed an individual right, has reached its 10th anniversary. 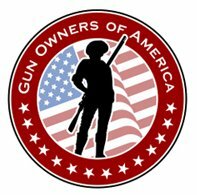 This entry was posted in 2nd Amendment, Gun Control, In the News and tagged 2nd Amendment, Anti-Gun, Gun Control, Gun politics, gun rights, Pro-Gun Rights, Right to carry, Right to keep and bear arms, Second Amendment to the United States Constitution. Bookmark the permalink.